The Fella SM 3570 TL Mower is one of four models in Fella’s new centre-mounted range of heavy duty tractor-mounted disc mowers. With a working width of 3.5m, the Fella SM 3570 TL mower is designed for farming where farmers or contractors want to cut large areas of grass as quickly as possible. The Fella SM 3570 TL disc mower with centre hitch attachment located in the mowers centre of gravity uses the Fella hydro-pneumatic Turbo Lift suspension system. 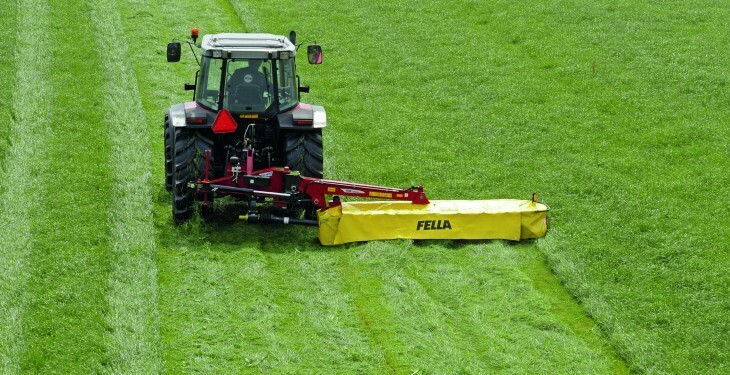 The Fella centre hitch attachment, with an additional compensating cylinder, prevents the cutter bar from swinging disruptively when it is being raised meaning that turns can be made significantly faster without any back swing, the company says. TurboLift, the hydro pneumatic cutter bar suspension system can be easily set without the need to use additional tools. This allows a constant and infinitely adjustable ground pressure providing an ideal ‘floating’ cut which protects the swarth from soil contamination and makes it extremely simple for the driver to adapt the disc mower bed to different ground and working conditions. All the Fella machines in this series come equipped with the Fella patented slide track. This offers the cutter bar optimal stability and guidance in the longitudinal direction, which enables it to adapt well to ground contours. This protects the mower, as the twisting forces on the mower do not have to be borne entirely by the centre hitch attachment. Advantages such as these minimise wear and lengthen the service life of the mower. Another distinguishing feature of this series is an impact guard with a pivoting gearbox. This gives the mower a large ‘evasion angle’, and the fact that the gearbox pivots in tandem with the mower prevents damage to the drive shaft. The newly developed full-cloth guard is lightweight and can be folded away providing optimum access for cleaning and carrying out maintenance work. For transportation purposes, the new professional Fella SM 3570 TL is swung to the rear hydraulically by a double-acting cylinder. 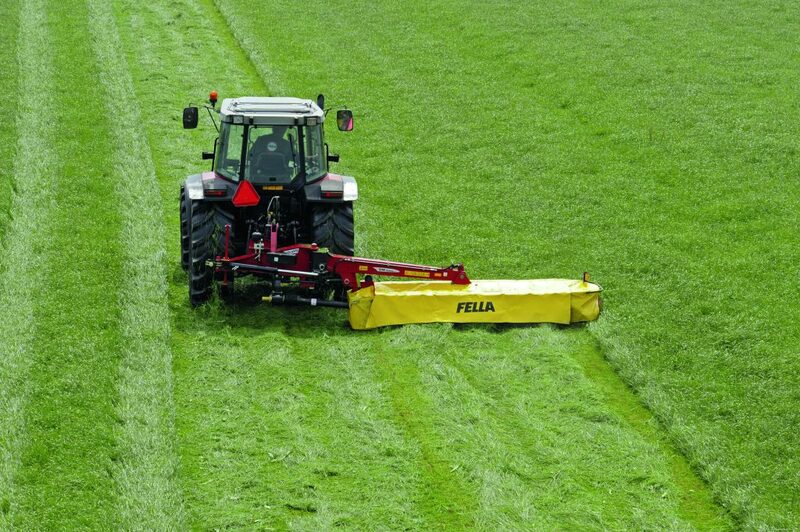 Fella, is a specialist German manufacturer of grass harvesting machinery.